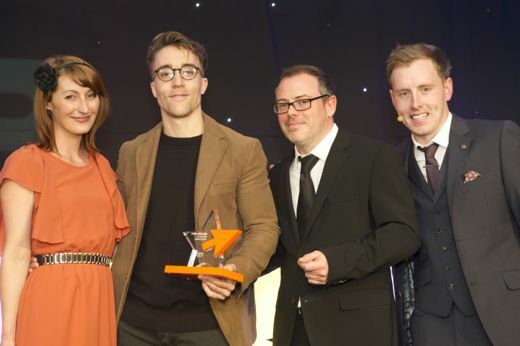 The key to winning this category is matching the design style to the audience - something the Bee Plea did beautifully in appealing to kids with the friendly bees, but also to parents with the Blue Peter-ish use of virtual corrugated cardboard. "The Bee Plea is a desktop experience created to help raise awareness of the problems facing Britain’s unsung heroes." Branding and website for Manchester’s underground Ping Pong tournament: Served. Submissions should demonstrate how visual creativity has enhanced the appeal, effectiveness or usability of a project, product or service in any digital medium. Eufloria HD takes the popular touch-based gaming experience to a new level on larger tablet screens. 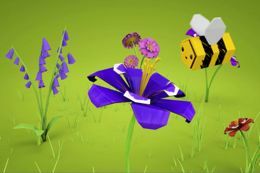 While the judges normally consider Visual Design entries calmly, based on their combination of brand, user experience, interaction and content, the Eufloria app delivered what can best be described as 'jaw dropping' visuals, and it just blew us away. Cube3 developed the branding and digital strategy for online fashion retailer, MeeMee. In such a competitive market the distinctive style of the business had to make an impact and the online experience had to be user focused, stylish and seamless. We created a full brand package and distinctive online presence that appealed to the brand's young and edgy target market. The James Anderson 613 site houses a wealth of data in a design that had at least one judge purring with pleasure. It's as rich as it is elegant, taking its design cues from the game of cricket in a way that's both involving and clich’©-free. As fast bowler James Anderson celebrates 10 years in cricket, The James Anderson Benefit Committee have launched James Anderson 613; a website that lets cricket fans follow Jimmy's career through a series of beautiful infographics. The site was built using Django alongside Opta Sports data, enabling infographics to be updated in real time and giving fans unparalleled insights into the fundamentals of cricket. Each page view is a unique experience, with an unrepeatable opening animation, and subtle colour changes on each visit. The site demonstrates the potential of real-time vector graphics in changing how people experience sporting events online. Smiling Wolf was equally beautiful but completely different. With a target audience of creatives, it had high standards to meet, and it did so with stunning photography and art direction that was both playful and cool. The website demonstrates the benefits for the creative industries of renting, rehearsing or simply hanging out in Liverpool's biggest creative hub; Elevator studios. The website shows how you might use your space through the use of nice big pictures and video, keeps you up to date with Elevator happenings through social media and is easy for the client to update via the CMS system. With a project of this nature there are so many clich’©s that a creative company could fall into, so this year's winner is especially deserving of the award for delivering a brilliant piece of work with stand-out visual style, cleverly integrated social media content and a user experience that was totally not what you'd expect. www.seaworldparks.co.uk is a stunning website with an innovative and visually exciting planning tool that allows Florida-bound UK travellers, heading for the theme park capital of the world, to explore SeaWorld Parks' attractions without even stepping onto a plane. Within one month of going live, already over a quarter of all visitors to www.seaworldparks.co.uk are using the “SeaWorld Experience Planner”, with dwell time on the site up by 50%. Plus a consistent look and feel across all four parks has also encouraged multi park ticket purchase across the SeaWorld footprint. All the judges praised the winner here for delivering a visually stunning and entertaining site which was beautifully architected. It seamlessly blended form and function to great effect, and it included excellent copywriting as a counterpoint to outstanding imagery. A website for independent creative Adam Rix. The most important part of the brief was that Adam wanted his work to be displayed to its maximum impact but he didn't want to compromise speed or have creative decisions impact on SEO benefits. That meant full screen images but no Flash. He also wanted the entire site to be driven by a CMS system. Cahoona with The Cahoona Website! "The winner of this award is no stranger to the Big Chip Awards. Their work just keeps getting better. This site says everything the agency needs to say about their ability to deliver world class graphic design and precise communication. The judging panel liked it so much, they watched it three times"
The self promotion website created for integrated design, digital and advertising agency LOVE. The tongue in cheek site was created entirely in the style of the ubiquitous Powerpoint presentation. A commendation in this category goes to an entry that not only had great photography, but also the courage to let it carry the site.